Plant-based diets are one of the fastest growing dietary trends right now. And whatever your reason is for adopting a plant-based diet, I think we can all agree that eating more fruits and vegetables is a good idea. I don’t know about you, but breakfast has always been difficult for me to eat. I can’t stomach the idea of sitting down and eating a big, greasy, heavy breakfast which is why I love vegan breakfast recipes. Vegan breakfast are usually on the lighter side (compared to something like bacon, eggs and sausage) but highly nutritious, satisfying and delicious. If you’re looking for new ideas to add to your vegan breakfast recipe toolkit, then you’ll love these 15 delicious recipes that are all easy to whip up and taste amazing. 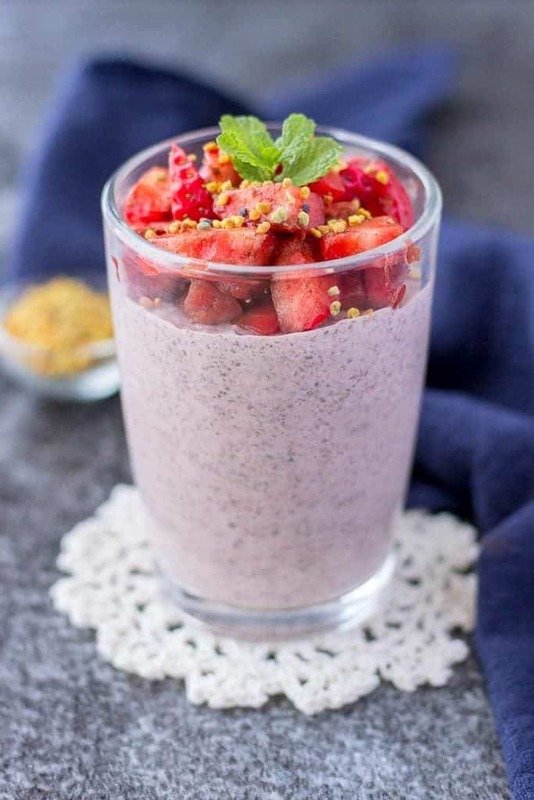 #1 – This Strawberry Chia Pudding Recipe from Natalie’s Health takes just minutes to make and is packed with nutrients like protein, fiber and omega-3 fatty acids, thanks to the addition of things like chia seeds, maca powder and some other special ingredients! #2 – Warm apple pie is a favorite dessert for many (myself included!) so imagine being able to enjoy a healthy version for breakfast every morning. 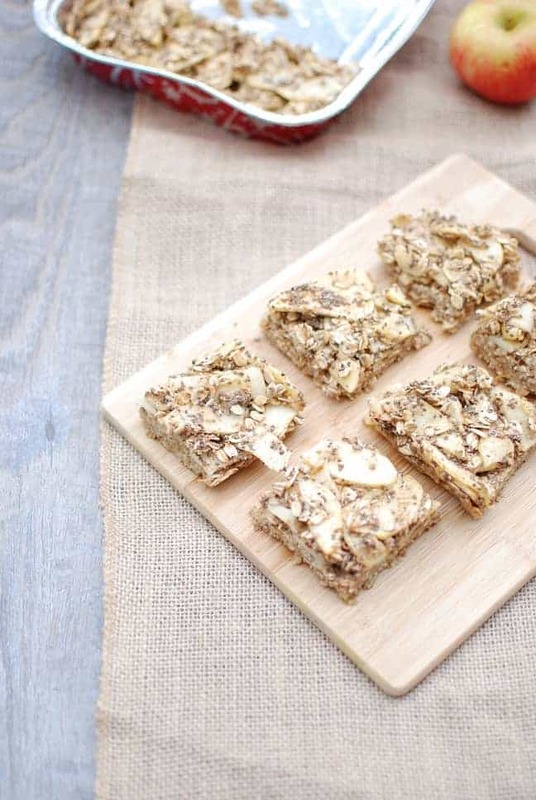 This Apple Pie Breakfast Bar from Snacking in Sneakers is made from whole food ingredients and contains no artificial ingredients. 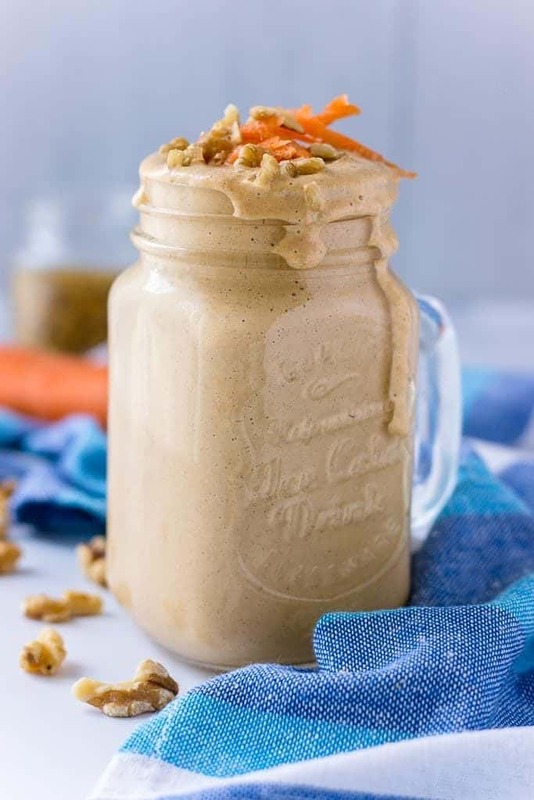 #3 – Staying on the “dessert for breakfast” theme, this Carrot Cake Smoothie from Natalie’s Health is the perfect vegan breakfast recipe for anyone who loves carrot cake! 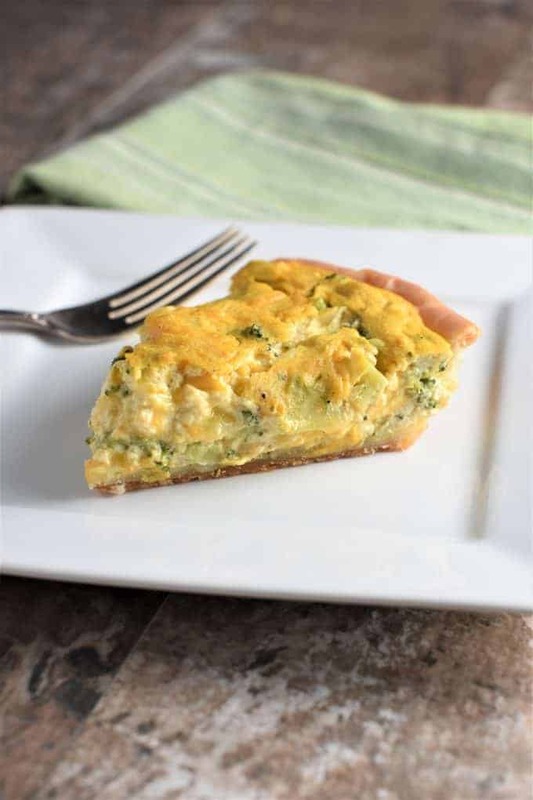 #4 – If you prefer something savory for breakfast, then this Cheesy Vegan Broccoli Quiche from Watch, Learn, Eat will definitely hit the spot. Made with tofu and nutritional yeast, it has that “quichey” taste while still being plant-based. 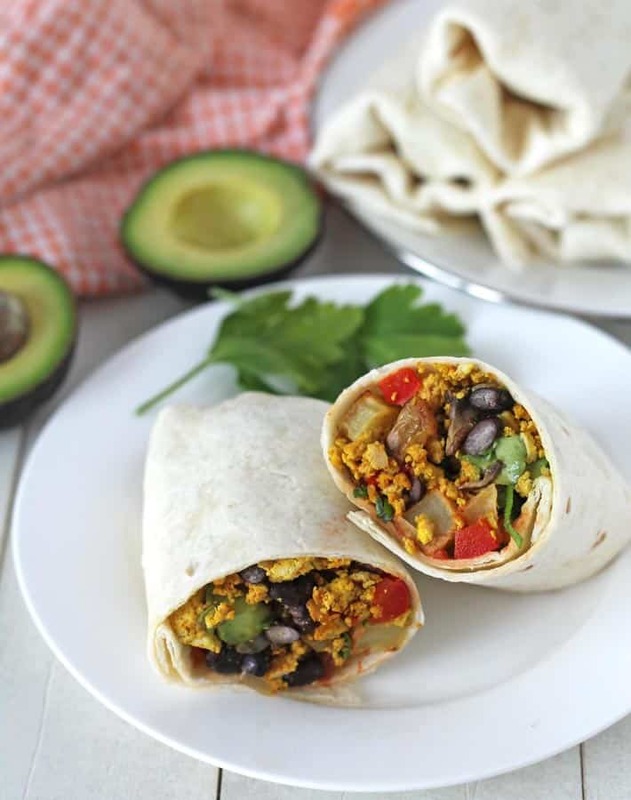 #5 – Another tasty, savory vegan breakfast recipe are these Tofu Breakfast Burritos from Delightful Adventures. Make these in advance, wrap them in some aluminum foil and store them in the refrigerator and you have the perfect grab ‘n go vegan breakfast. #6 – A sweet potato smoothie might sound unusual, but just think of it as your favorite sweet potato pie in smoothie format. 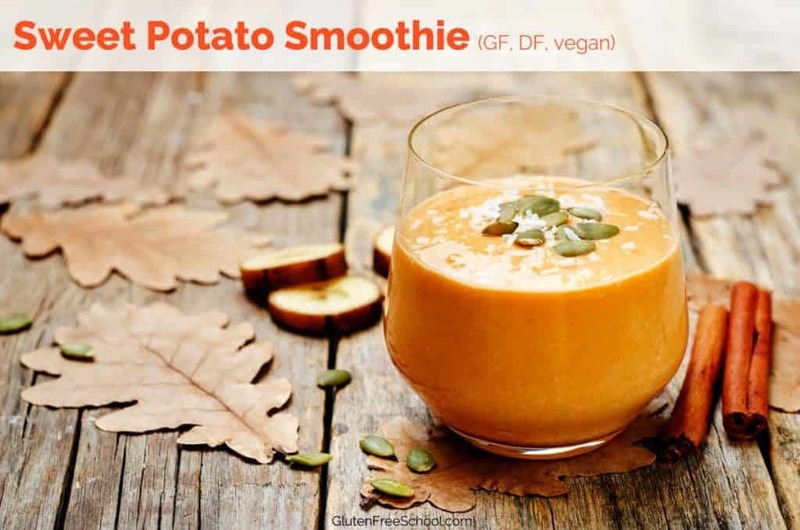 This Sweet Potato Smoothie recipe from Gluten Free School has just 6 ingredients and is perfect for the cooler months. 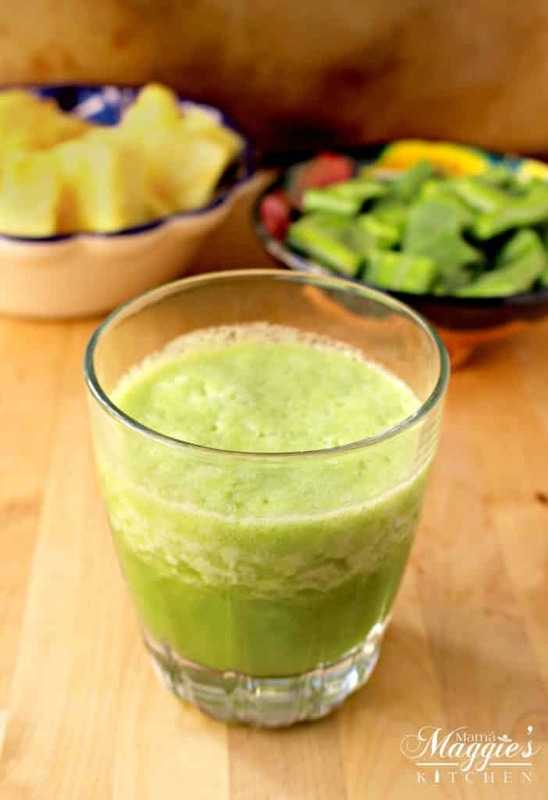 #7 – This Cactus Pineapple Smoothie (Licuado de Nopal) from Mama Maggie’s Kitchen is slightly more labor intensive but if you’re looking for a uniquely flavored tropical vegan breakfast recipe that is said to assist with weight loss, regulate blood sugar levels and aid in digestion, then it’s definitely worth trying! #8 – Of course, no vegan breakfast recipe list would be complete without a pancake recipe! 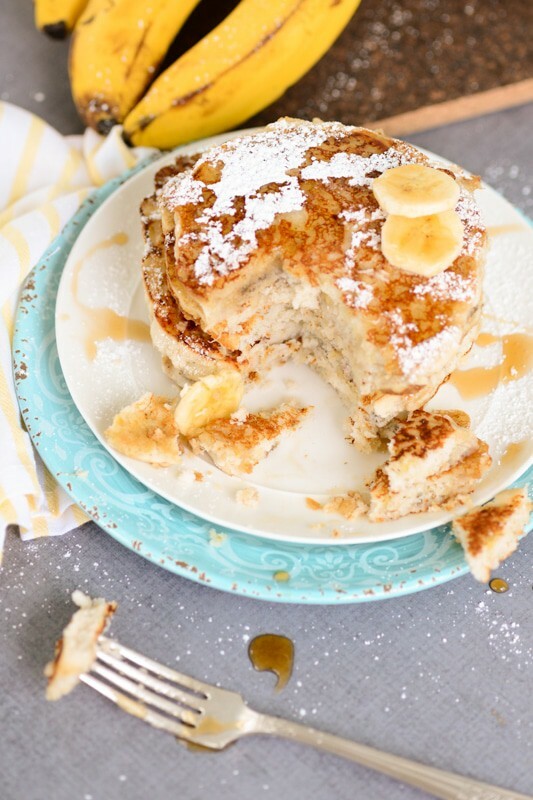 These Vegan Banana Pancakes from Delicious Everyday are light and fluffy and take just 20 minutes to whip up. #9 – I’ve long been a fan of adding avocado to my morning smoothie. Avocado is full of healthy fats which are not only beneficial to your health, they’re also highly satiating which helps keep you feeling fuller for longer. 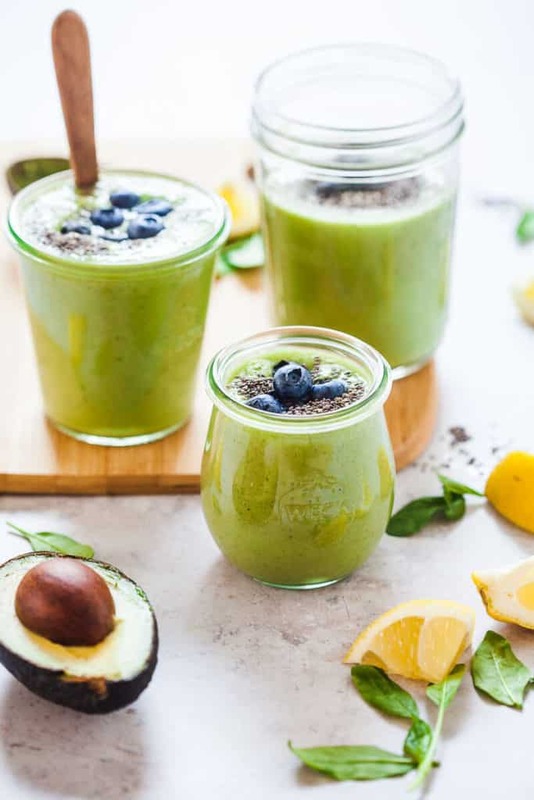 This Avocado Smoothie recipe from Vibrant Plate is the perfect way to drink your vegetables! #10 – If you’ve never made your own granola, then I encourage you to give it a try. 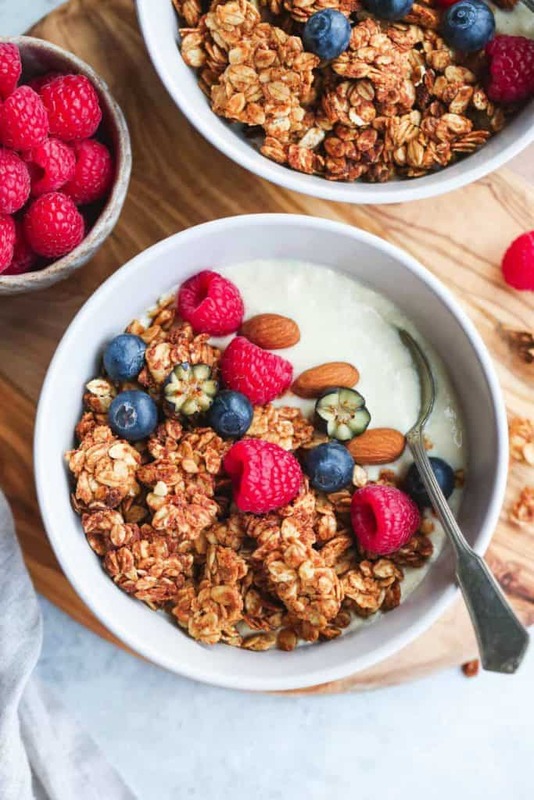 Homemade granola is easy to make, delicious and extremely cost efficient, compared to store bought granola which can be expensive. If you’re a peanut butter fan, then you’ll love this Easy Peanut Butter Granola from Little Sunny’s Kitchen. 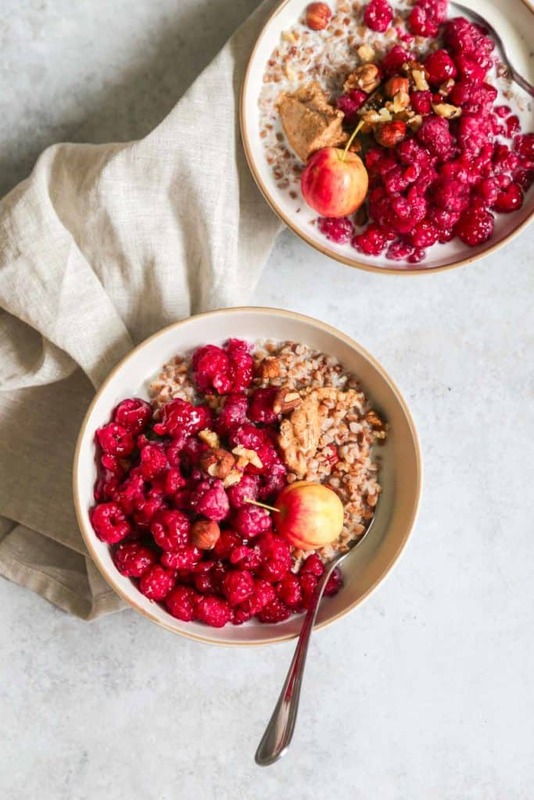 #11 – Buckwheat is a superfood that has a whole host of health benefits and is packed with nutrients, including potassium, iron, fiber, protein, manganese, magnesium, copper, zinc and vitamin b6. It’s easy to prepare and a great vegan breakfast recipe for people who are also gluten free. Check out this recipe from Little Sunny’s Kitchen that shows you exactly how to cook buckwheat. 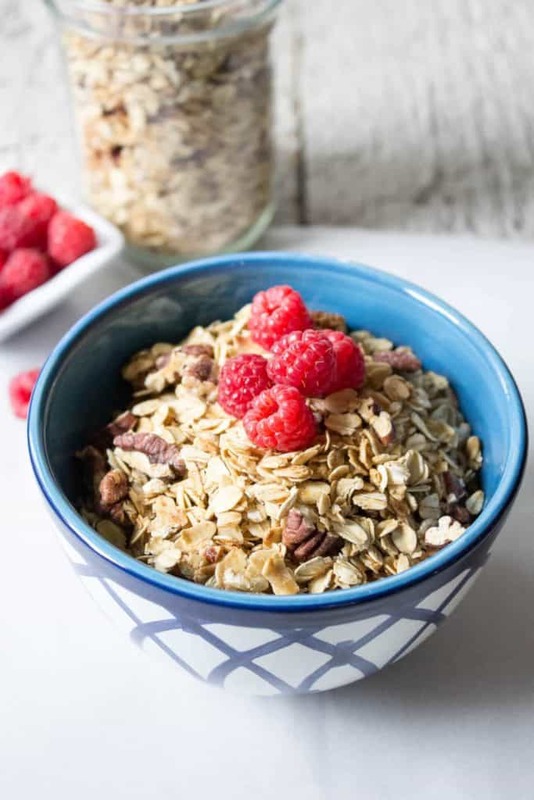 #12 – Another easy to make but tasty granola recipe to try out is this Maple Pecan Granola from Beyond the Chicken Coop. It has just four ingredients, and if you don’t like (or don’t have) pecans you can switch them out for a different nut of your choice. #13 – Did someone say “tacos for breakfast”? Um, yes please. 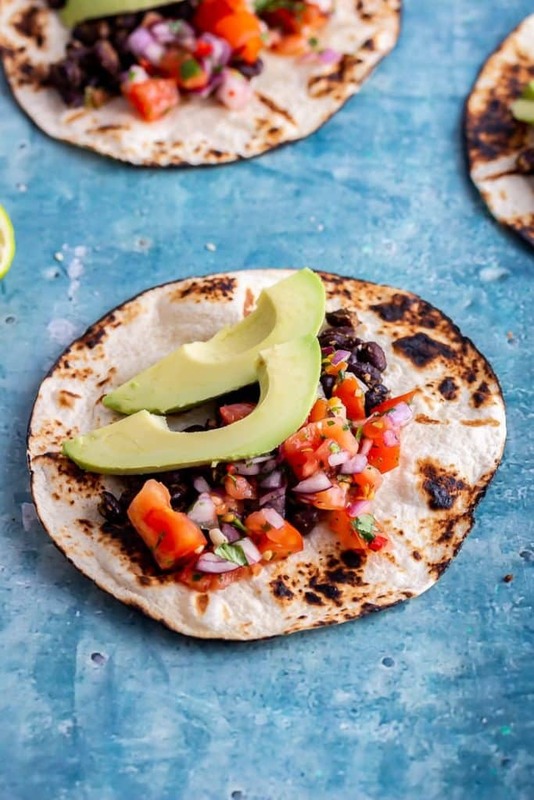 These Vegan Breakfast Tacos from The Cook Report are light, tasty, easy to make and high in nutritional value. #14 – Oatmeal raisin cookies are a popular grab ‘n go breakfast option, but unfortunately, they’re usually packed with added sugars and aren’t much than healthier than grabbing a chocolate chip cookie for breakfast. 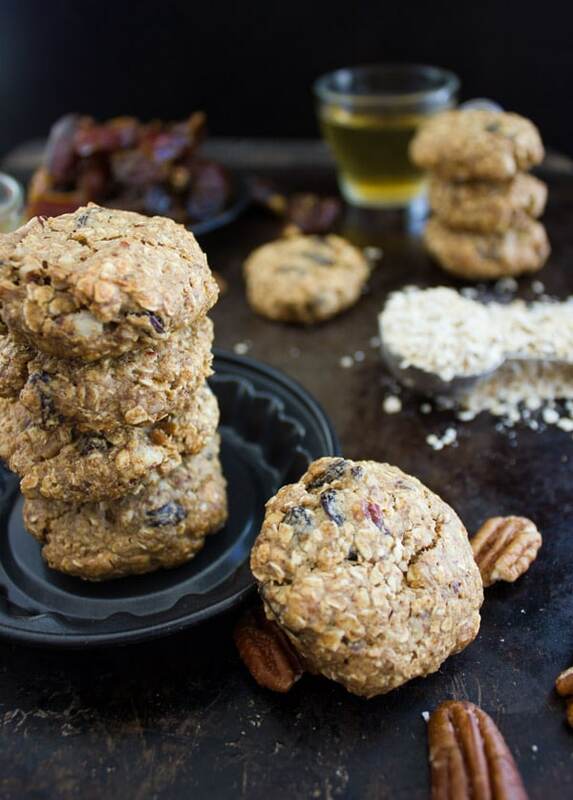 If you want a healthy, vegan alternative that isn’t packed with added sugar, then these Vegan Oatmeal Raisin Cookies from Two Purple Figs are perfect. 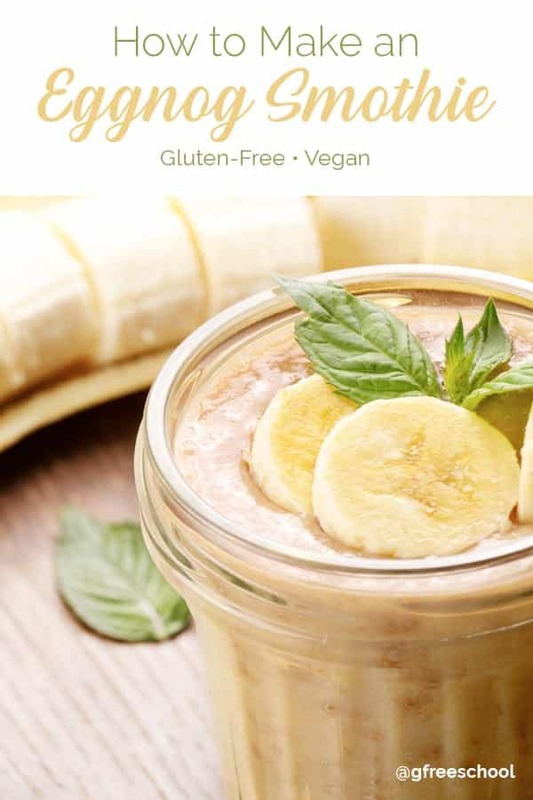 #15 – Eggnog is traditionally seen as something you only drink around the holidays, but when you can easily whip up this tasty, Vegan Eggnog Smoothie from Gluten Free School in minutes, why not enjoy some eggnog the whole year round? Self-care is important, but something that often falls to the wayside. These 10 Ayurvedic Self Care Rituals are simple, effective ways to practice self-care at home. If you’re trying to improve your health, then check out this post on 10 things that healthy women do everyday. Interested in how kettlebells can help you lose weight and stay fit? Check out these 10 kettlebell exercises for weight loss.